Kitchens are really the heart of the home. It is the place not only use for preparing meals but also for many activities like sorting mail, reading or doing homework and tasks. This room, therefore, needs layers of illumination to shine it which are task lighting, accent lighting and general lighting. In general, first step when designing lighting in the kitchen is planning task lighting to figure out where you really need light to do task. 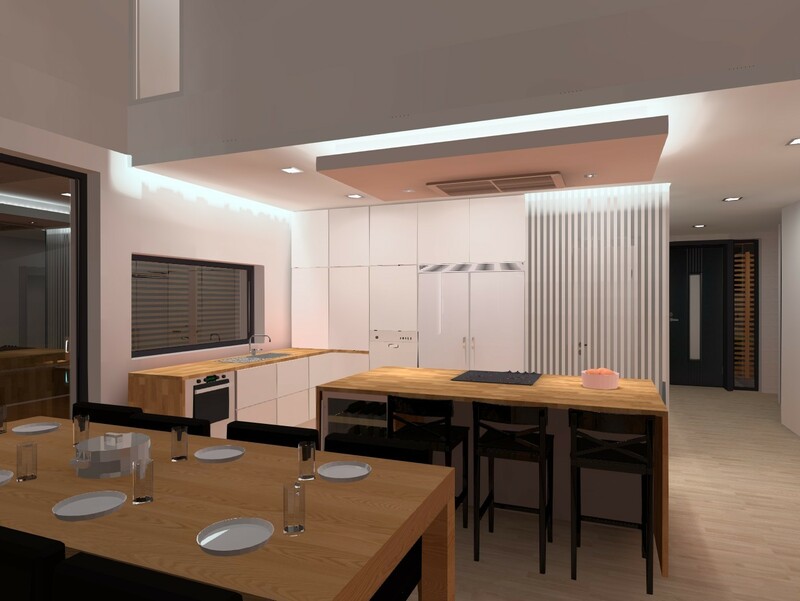 After that, accent lighting will be added to visualize the kitchen making it look more appealing and cozy. Finally, it comes to general lighting with the purpose of filling out the space with just the right amount of ambient light. In addition, combining these layers with dimmers will become a successful recipe for kitchen design. 1. What is enough light? 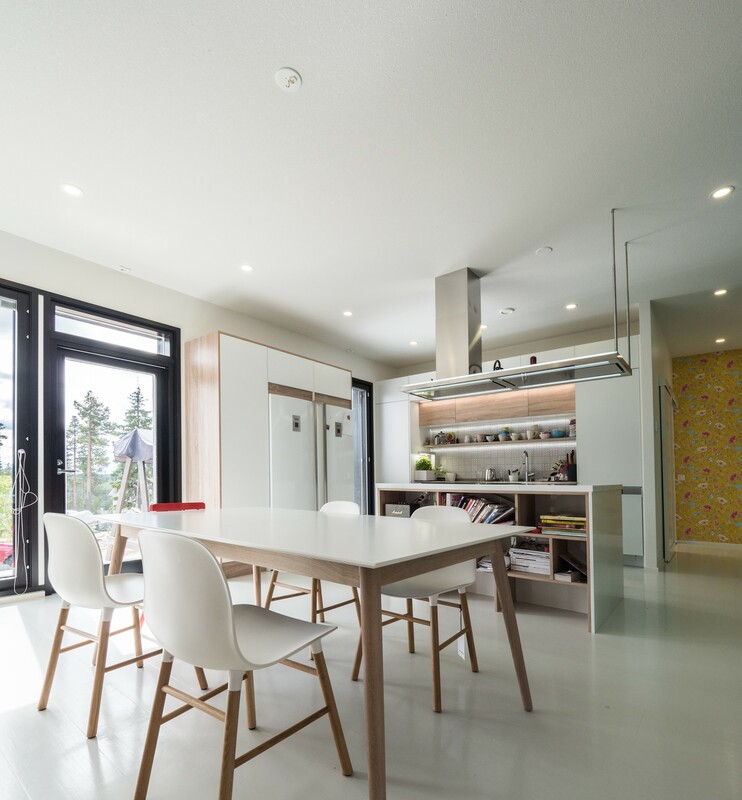 Before we set a plan for light, we must understand how much brightness we need for kitchen, to what level is called enough light, especially about LED light. It is a bit complicated to answer this question. Mostly, people will just think of wattage – how much energy is being used by the bulb or light source - when they pick out lighting, but the fact is that they should think more about the actual about the actual amount of light being produced which is estimated in lumens and foot-candles. The first step is to determine room square footage by multiplying the length times the Width of the room. Secondly, you need to figure the foot candles by room type for room purpose. When we talk about foot-candles, it relates to how bright a light is one-foot away from its source. That leads to the fact that lighting requirements is dependent on the type of room. For instant, a bathroom or kitchen will require more foot-candles than a living room or a bedroom. Lastly, it is about determining the needed lumen which is a unit measurement of light. Needed lumens is found out by multiplying your room square footage by your room foot-candles requirement. We usually want about 30 lumens per square foot on your dining table. For example, if your dining table is 6 x 3 feet (182 x 91 cm), you will need 540 lumens. However, you should keep in mind that for those dark walls and furniture, there is a need of brighter light sources. Furthermore, to be noticed, the number of foot-candles for countertops rely upon the age of house owners. Normally, the standard number of foot -candles is around 50, but people over 50 years old may need 100 foot – candles or even more. And they also need a 5 – watt light channel to light their kitchen countertops. Whereas, with those under 50, a 2.5-watt light channel is enough. The purpose of using task lighting is to provide enough illumination for completing tasks by focusing on a specific area. So, based on all the activities people usually do when they go to the kitchen, we can divide kitchen into some individual task areas requiring light such as cabinets, drawers and countertops. Most of the task in a kitchen always take place on the countertops which is typically set up below upper cabinets. So, it of course very easy to light these area by installing light undercabinet. There are so many types of light you can chose which vary from pucks, strips, tape or rope. 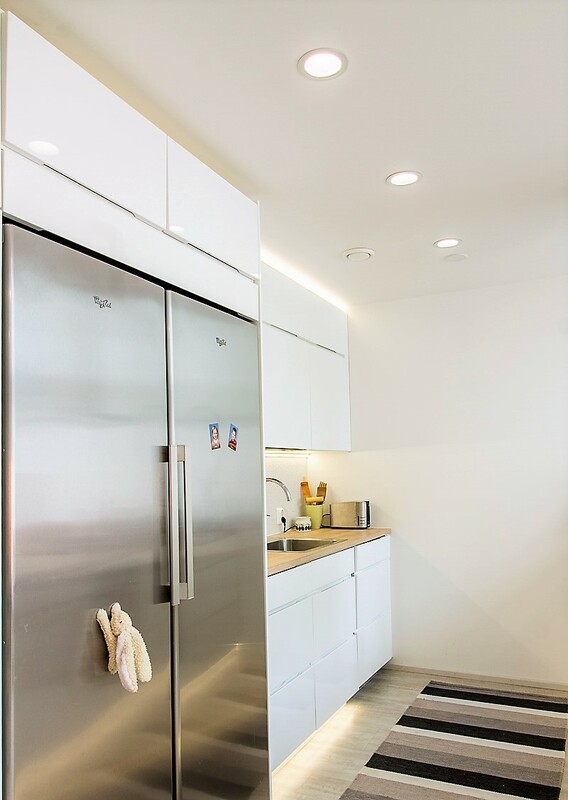 With puck lights, you will get scalloped pockets of light for your cabinets. But you have or remember spacing the about 20 to 30 cm apart for more even lighting. Coming to Strips, they emit flooded light and what you have to do is choosing right fixtures to match the length of the cabinets. About rope and tapes lights, they are great combination for those large areas such as the top of the cabinets. About light color, we recommend cool color which is the best for task lighting. Keep in mind that many countertops surface are made from marble or granite which are shiny surfaces, so you have to use diffused light source in order to avoid reflected glare. In these cases, a light channel is a much better option than just a single LED strip lighting down. Next one is drawers which normally do not get any light. With drawers, only simple light strip is a perfect match and of course it should be placed in the right location. It will make your silverware sparkle and more helpful for you when you trying to find any tiny stuff. Moreover, there is no glare so there is no need for a diffused lens. For more convenient, a switch or motion sensor will be a perfect choice which will make the light strips turn on when you open the drawers and of course, turn off automatically after you close them. As we all know that accent lighting is used to focus light on a particular area or object and it is often used to lead the attention to architectural details or any other interesting point in the kitchen such as artwork or other displays. And remember that accent lighting must be three time brighter than normal than the other so that it is able to stand out the object well. 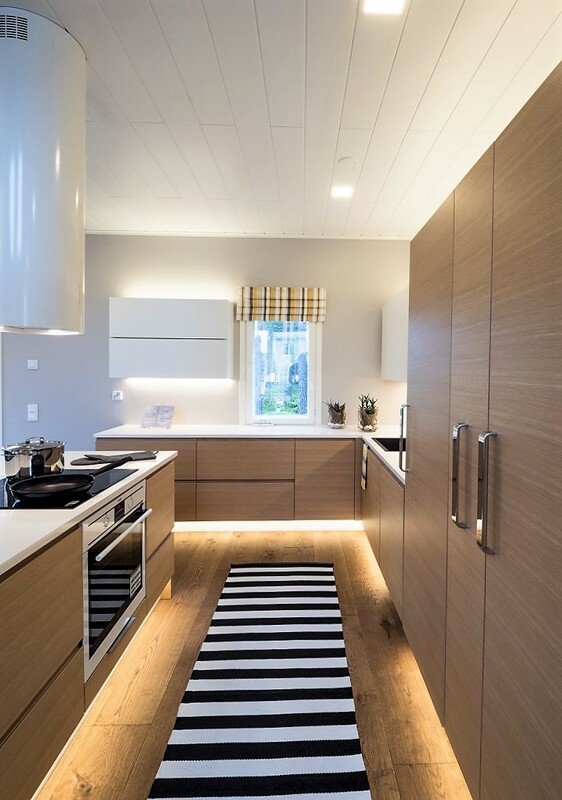 We recommend using toe kick lighting to accent your kitchen which can be installed around the perimeter of the space, underneath the lower cabinets and underneath the kitchen island (if possible). Generally, toe kick should have the same color as cabinet or floors. There are two options for toe kick lighting, tape light and rope light. With rope light, the only one advantage is that it can stand under any circumstances, even outside or in wet locations. However, it is difficult to install this type into tight spaces and it can also not be able to tend at a 90 degree without breaking the wires. One serious disadvantage of this robe light is that it gets hot and hot time by time so deciding where to place it is exceedingly important. Whereas, LED tape light is so flat that it can be easily to place in tight space. It offers different colors including RGB color changing tape light, so you can get a huge variety of color when choosing this. With those distinguished details above, we recommend using LED tape light to make toe kick lighting. After task and accent lighting are all installed, you still need to have general light which will be the main source of light for the whole kitchen. Well – placed recessed lighting, a chandelier and pendant light are the choice you can get. You should notice that when designing this light, the higher and brighter, the better to fill your kitchen with light. When you plan to use recessed light (downlight), you need to avoid direct downlights so that there is no reflected glare on shiny countertops. In this case, cross – illumination is a good choice. However, when the kitchen is not big and spacious, flushmount or semi – flushmount will work better. If recessed lights are hidden in the ceiling which does not give much artist decoration, flushmoutn or semi – flushmount will become an added stylistic tounches to the kitchen.